EMS Asteelflash began its journey at the end of the last century with a factory outside of Paris. Its subsequent growth – # 23 on 2017’s MMI Top 50 EMS – has been primarily through strategic acquisition. Focused on enabling its 300+ customers to gain application specific engineering expertise and be nimble logistically, Asteelflash has an interesting story to tell. 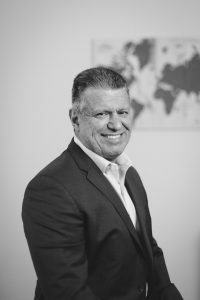 EMSNOW interviewed Albert Yanez Sr., Corporate Executive Vice President and President of the AMERICAS – Asteelflash Group, recently to get the insider perspective. EMSNow: How have Asteelflash’s history and culture impacted your development and strategic goals? Asteel, was founded in France in 1999 by Gilles Benhamou. Over the years, Asteelflash grew out of multiple successful acquisitions in France, Tunisia and in the UK. 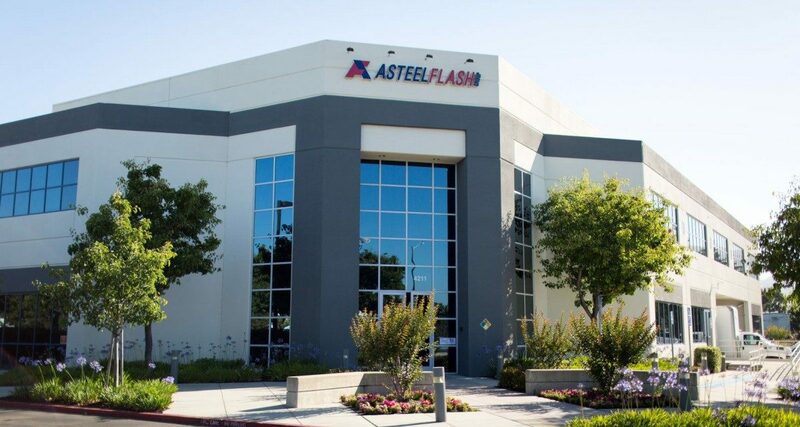 In 2008, Asteel acquired Flash Electronics, consisting at that time of 2 facilities, one in Fremont, CA and one in Suzhou, China. The Asteelflash Group was born. More acquisitions followed until 2012, adding manufacturing locations in Mexico, Germany and Czech Republic, paving the way to the global footprint we have today. Today, Asteelflash has 18 locations across 8 countries, +6,000 employees that share the same passion for electronics and electronic manufacturing! Our vision has always been to put the customer at the heart of our organization. This vision has impacted our development, aiming at offering global capabilities along with local customer service. With more than 300 customers today across the board, Asteelflash strategic goals are simple: Think Globally, yet Act locally. Providing high quality electronics at the right time, at the right cost, and offer to our customers the ability and the flexibility to start manufacturing in one region, and transfer to another whenever it makes sense logistically or economically. EMSNow: You say on your website that your ‘footprint and extensive expertise allows a large array of innovative manufacturing and supply-chain solutions.” Would you please provide some examples of this? Through our 18 locations and close to 20 years’ expertise in this industry, we’ve mastered various processes and capabilities, from printed circuit board assembly for high volume products to high mix, low to medium volume, high complexity circuit boards targeted to the RF or Aerospace industry. Along with this, we are also very present in the Automotive, Medical, Energy, Industrial and IoT space. In addition to this, for various customers, we brought our engineering and automation know-how to design and setup new equipment and production lines that are very specific to these customers’ requirements, and actually far from the EMS/CM industry standards. From ultrasonic welding to wire-bonding or medical grade liquid/drug filling capabilities, we’ve been successful at offering a high level of services and quality to our customers. EMSNow: The Raleigh NC facility announced in April it is ramping up to produce half a billion units/year of a consumer product. That’s surprising for a high labor cost region like U.S. How are you able to achieve this? We actually will end the year at a little over half a billion. First, we have to take a look at total cost of ownership. Our Raleigh location, for this particular project, is actually a perfect hub from a logistics point of view as it has direct access to our customers’ main markets. In addition, we’ve invested lot of time and resources into automation. Without automating some of our processes, we wouldn’t have been able to accommodate such volumes at such a speed. We have top engineers who work every day on strengthening the automation of our lines and manufacturing processes. Our global manufacturing team of experts, from several of our facilities across the world, has also been deployed in Raleigh during the ramp up with their only mission being to support the local operations team on reaching full efficiency faster than usually observed within our industry. EMSNow: Your ‘supply chain AI’ expertise sounds unique. In fact, you say you are one of the first EMS to have that capability. How does this work and what benefits does it provides your customers? We’ve been working now nearly 2 years on a unique AI system which will helps us tremendously on all aspects of our business. We made the choice to approach Artificial Intelligence differently than most of our competitors or manufacturers, by focusing on workflows and processes that are not directly related to production. 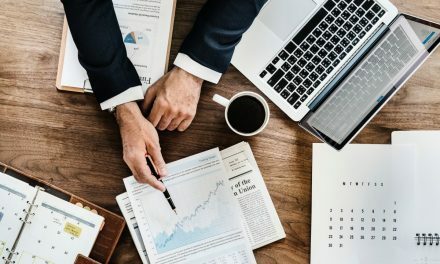 A good example would be to focus on the quotation process which is a very timely and resource-intensive process, going through customers’ and prospects’ documentation line by line to make sure we’re able to get competitive prices from our suppliers: this process is now almost entirely handled by our AI platform who has the capability to clean a documentation package, to identify best pricing and previous prices quoted before, with a % of getting a better price (or not), as well as to provide an educated guess on the labor/value-add portion of the project, based on all quotes digested and understood in the past. This can shorten our turnaround time for quotes from 2 weeks to only a few days. The next phases of our roll-out will focus on day to day operations related to purchasing activities, and finish by our actual production floor. EMSNow: How has Asteelflash adapted the technologies of Industry 4.0 to benefit customers? Industry 4.0 is translated though many different technologies that we are integrating in each of our 18 locations. It starts with automation, where the use of analytics, machine learning and AI comes in place. Automation is the basis of operations for smart factories and critical to maintain competitiveness and improve productions processes, reducing human mistakes and allowing data-driven decision making and production management. It makes us more competitive on repetitive tasks/processes, and overall increases our speed and efficiency. One of the many projects we focused on has been our Co-bots: we have already successfully implemented 5 co-bots (collaborative robots), in France, Germany and now in Fremont, CA, automating several key steps of our manufacturing process. Combined with our AI system, I think we’re on the right path to be at the forefront of Industry 4.0 in the EMS/CM industry. EMSNow: Component shortages have been a major issue recently for the industry, especially MLCCs. What are you recommending your customers do to alleviate the pressure? I’d say that a lot of these challenges could be overcome at the early stage of any project by making sure we’re not selecting parts that will be obsolete within the next 3 years. Identifying alternate parts for critical long lead time items is also very important, particularly for MLCCs which are becoming a problem for pretty much everyone at the moment. We do this for our existing customers and are providing more and more DfP (Design for Procurement) services aiming at making a design package as robust as possible with benefits on both ends: for the customer who will not run into shortages and maybe miss critical time-to-market deadlines, and on our end, to make sure we have all the tools to go through mass production, smoothly. Another one of our competitive advantage is our market knowledge and our relationships with our key suppliers: this allows for a lot of flexibility to find stock but also to find exact matches (alternate parts which could be used without a re-design). This expertise and know-how, given current market conditions, is priceless. In our industry, labor and materials are always the greatest challenges. I don’t see that changing, in fact I see it worsening. Considering that we are at the lowest unemployment rate that we have seen in over 20 years, talent retention will be extremely important. As for materials, we are continuing to grow at such a big pace that our purchasing power will help us continue to negotiate material pricing and stay competitive. EMSNow: What do you see as the major industry trends/challenges affecting EMS industry in the next 1-2 years? One of the major industry trends in the next couple of years would be related to the IoT (Internet of Things) phenomenon. In 2025, the estimated annual revenue for IoT will be $3.9 – $11 trillion. This year there will be over 31 billion connected devices across the globe with that number looking to rapidly increase to over 50 billion devices by 2020. And it will touch so many different industries (industrial, smart home, smart buildings, consumer electronics, wearables, automotive). This is for sure a vertical we’ve been active in and we’re still seeing a lot of interest from IoT customers. On the automotive side, our automotive certified facilities have seen tremendous growth and interest given the increasing amount of electronic per vehicle. On the Electric Vehicle side, we expect demand for EVs to triple over the next 3 years, which of course would translate in additional projects and revenue for Asteelflash at the global scale. EMSNow: Is there anything else you’d like to say to EMSNOW readers? Exciting times for the whole industry now with Artificial Intelligence, Robotics, IIoT and Industry 4.0 paving the way to even greater things. At our scale, we’re embracing these new opportunities while keeping our organization lean and optimized, thinking globally yet acting locally, close to our customers and addressing their requirements the best way.